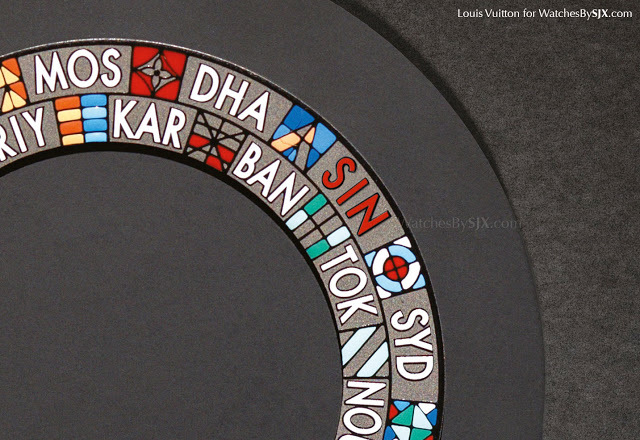 For Singapore’s 50th birthday Louis Vuitton has given its Escale Worldtime a subtle twist in a limited edition of just nine pieces. 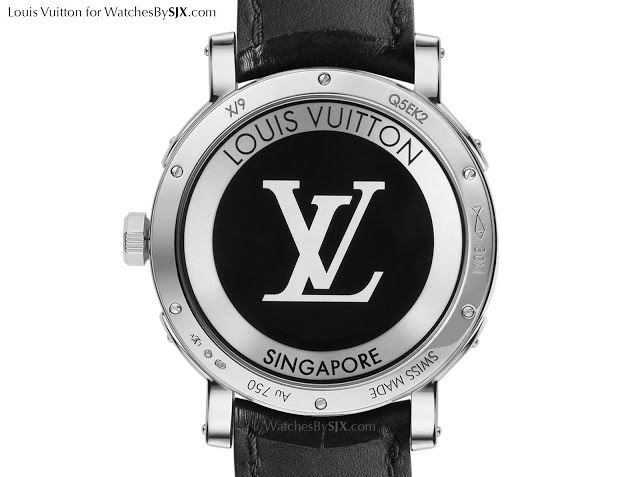 Singapore marks 50 years since independence in 2015 – an event collectively known as SG50 – and for that occasion Louis Vuitton has just unveiled the Escale Worldtime Singapore Edition. 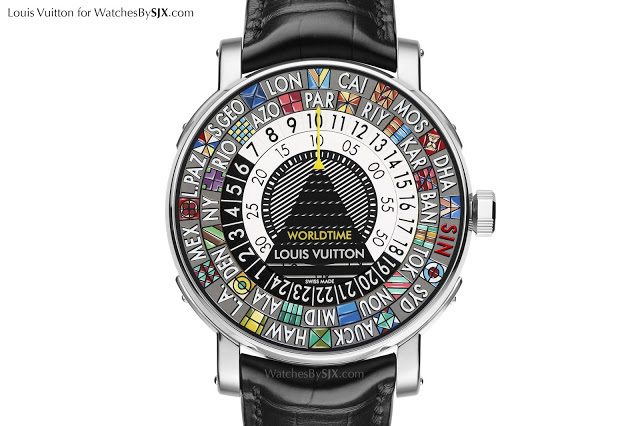 The strikingly original dial, with 24 time zones in 38 hand-painted colours, has “SIN” for the GMT+8 time zone. Conceived by Michel Navas and Enrico Barbasini, the talented duo behind movement specialist La Fabrique du Temps (now part of Louis Vuitton), the Escale Worldtime is a wandering hours watch that shows the time on rotating discs. The discs sit a fraction of a millimetre below the sapphire crystal, giving the impression of being printed on the underside of the glass. The outermost track shows the 24 time zones of the world, each indicated by the abbreviation of a major city. On the dial of the Singapore edition, “SIN” in red replaces “BEI” (for Beijing) for the GMT+8 timezone. Instead of “SIN”, a little red dot would have worked instead (fellow Singaporeans will understand). The time zone can be set backwards or forwards via the crown. The most striking feature of the Escale Worldtime is not technical, but the colours on the dial. 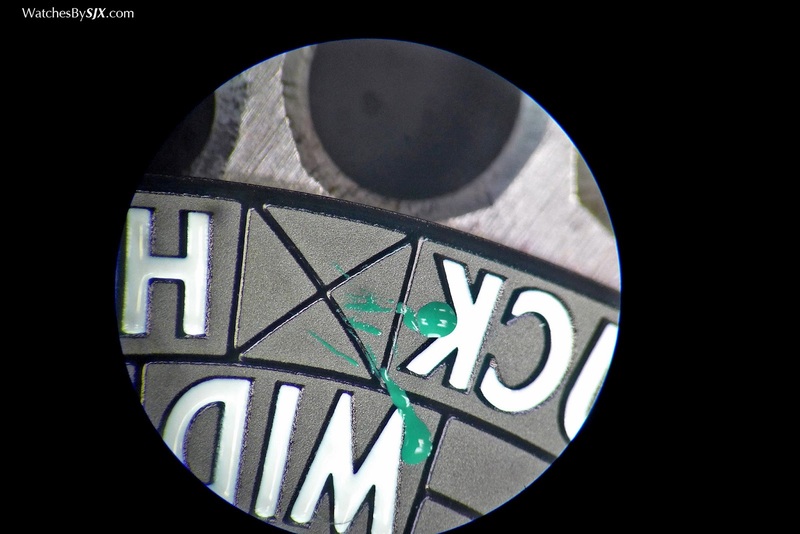 38 colours in all are used on the dial, every one painted by hand with a miniature painting technique. 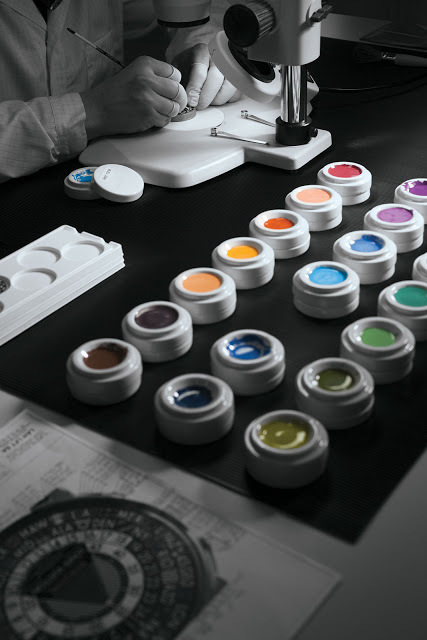 Vividly coloured, fade-resistant oil paints are applied – with a tiny brush under a microscope – then baked in an oven to dry them. The process is tedious, taking 50 hours to complete, and near impossible for the unskilled – I tried and failed. On the reverse a mystery rotor is visible, surrounding the silkscreened Louis Vuitton logo on the display back. The Singapore edition has the country name on the rotor, and is also numbered “X/9”. 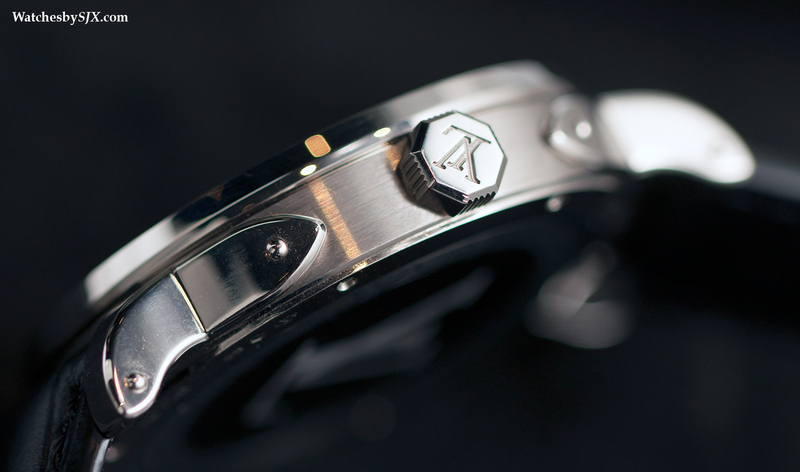 The white gold case measures 41mm in diameter, with a height of 9.75mm. Each lug is made to appear riveted to a case, a reference to the rivets found on Louis Vuitton’s trunks. Nine pieces of the Escale Worldtime Singapore Edition will be made, with a retail price of S$90,800 each. They will be available from July 1, 2015, at any one of the three Louis Vuitton stores in Singapore located at Marine Bay Sands, Ion Orchard and Ngee Ann City. 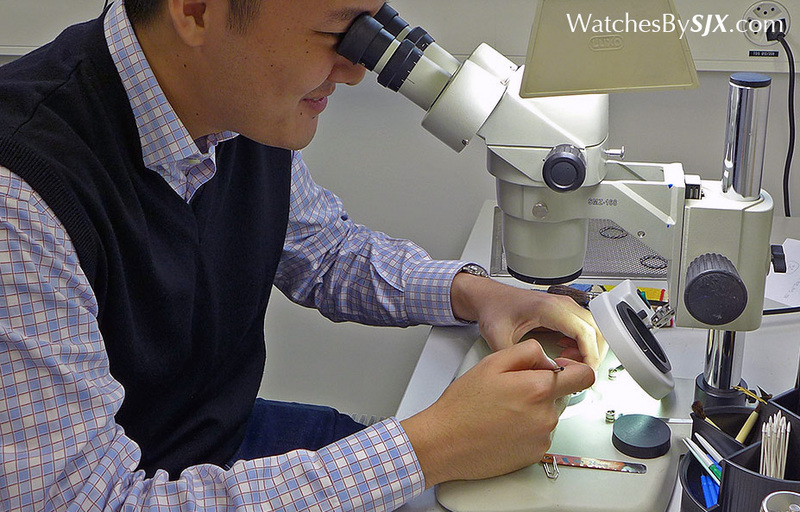 For a detailed look at the Escale Worldtime, click here.